Very cool idea, great textures! If i had to give the results of the contest I would go for your picture right now. Very nice. I also went through your gallery 100X100 and I enjoyed a lot specially for the common daily thing you have captured in such a nice way. I am also impressed with the colors and so realistic results. Thanks for sharing. Voted. Great macro -- very nicely seen. Ahhh, love this one! V.
I am wondering if this shot was made in public with pans unzipped and down, or rather in private location ?! 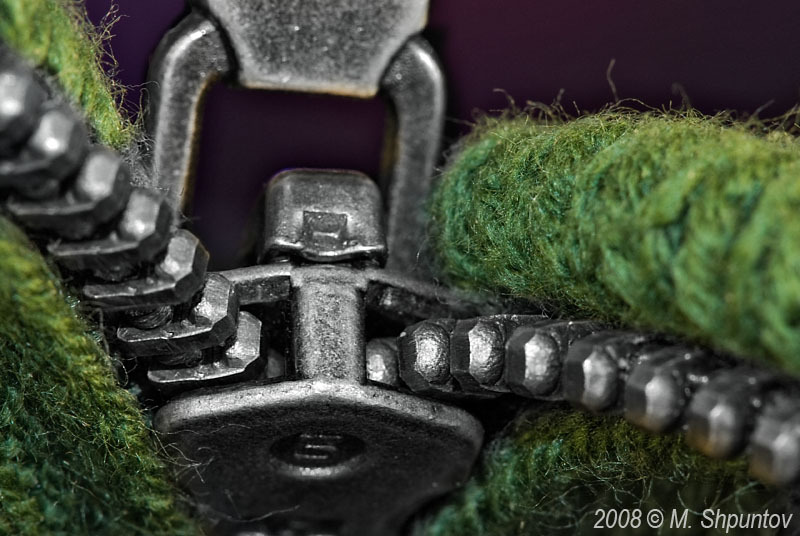 The zipper looks very dangerous. Imaginative and effective composition. Really Fresh photoidea and Excellent performance! These details are fantastic and unexpected! wow ! I really love this one. Got my VOTE! Superb!!! Excellent focus and detail. Great colours too!!! Great composition, lighting, texture and details... Terrific shot!!! Awesome shot. Great concept and very well executed.